Shakuhachi is an end-blown bamboo flute that arose in the Edo Period (1609 to 1867) through the efforts of Buddhist mendicant monks (komuso) who used it for alms gathering and meditation. The simple construction of the flute belies its difficulty and nuance. 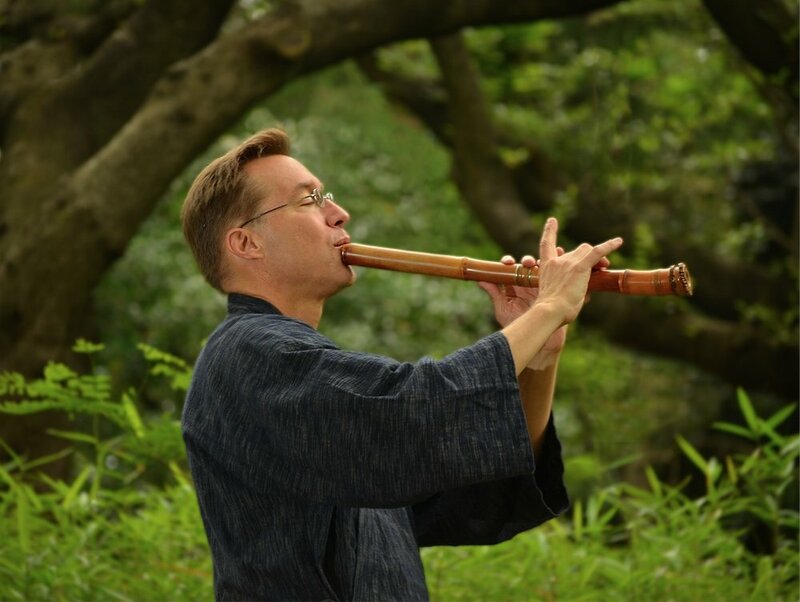 Bruce Huebner is an American shakuhachi performer, arranger, composer and producer. At age 23 he migrated to Japan and became the first non-Japanese to graduate from the Tokyo University of Fine Arts and Music in 1993 where he studied Kinko shakuhachi under Yamaguchi Goro. After submerging himself in Japanese music for over fifteen years he turned back to his jazz and western classical roots and has gone on to collaborate in a string of world music projects that feature his shakuhachi in Japanese, American and World Music settings. One of these projects is the ground-breaking jazz-world music group Candela, which he founded in 1999 with pianist Jonathan Katz. This band was able to accomplish a truly successful fusion of traditional Japanese music and jazz. They recorded and toured extensively, including Europe in 2003 (Rome University), Canada in 2004 (Toronto Jazz Festival), the US (New York Blue Note, Joe's Pub) and Japan (Kyoto Concert Hall, Motion Blue etc.). Candela's first CD "Mogami" was chosen best five by Stereo Magazine in 2002. 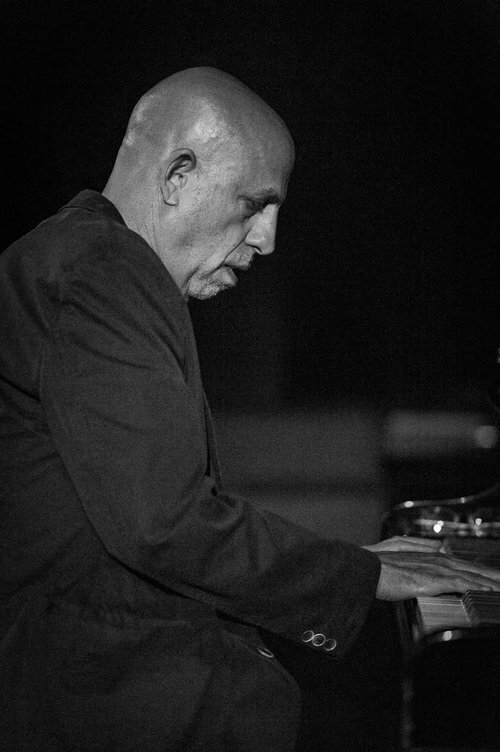 In 2008 he began a duo with koto player Curtis Patterson. With original compositions, improvisations, jazz and modern classical and traditional music they were two Americans performing on two of Japan’s hallowed traditional instruments. "Curt and Bruce" released CDs and produced the “Sakura Cherry Blossom Front Tour, “ joined by vocalist Susan Osborn (veteran of the Paul Winter Consort). In 2010 they were guest performers with the Vancouver Inter-Cultural Orchestra in Canada. Bruce is a also a musical spokesman who has appeared on NHK BS TV, Tedx, Nihon TV, and has conducted numerous lecture concerts in schools, community centers, clubs, temples, and colleges, including Rome University, Kent State, St Lawrence University, New York, and the University of British Columbia. For this concert Bruce will perform with Larry Porter's trio. Bruce and Larry first met in 2002, when Larry was spending some months living in Japan. They heard each other's music and have stayed in touch since then. Now for the first time, they will be performing together at the Zig Zag, and the results of their collaboration should be very exciting to experience. - Joe Smith studied at the Cincinnati Conservatory and the Manhattan School of Music at Vernel Fournier , Jimmy Lovelace , John Von Ohlen , John Riley, and Jeff Williams. From 1991 to 2000, he played in New York City; Subsequently lived in Barcelona. Under his own name he presented two albums at FreshSound Records , Happy and Melodic Workshop , a. With Bill McHenry , Gorka Benitez , Guillermo Klein , Chris Lightcap and Jorge Rossy . In addition, Smith was involved in recordings of John McNeil ( This Way Out , 2002), Arthur Kell , Ryan Blotnick , Fredrik Carlquist, and Brandon Miller . In 2008, he founded the Asociación Libre Orkesta , a big band that combines improvised music with lyrics and picture projections. In 2010 Smith appeared with the Orkesta at the Jazz al Parque Festival in Bogotá . Since 2011 he has been living in Berlin, where he is currently (2015) involved in band projects, a. By George Donchev , Johannes Lauer , Christian Ugurel and Jessica Einaudi , as well as the formation Sarsaparilla and a Shakespeare production of the German Theater.